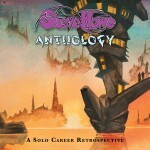 In celebration of the upcoming release of Steve’s new album, Anthology, this site has been updated and re-launched. Read Steve’s updated Biography, listen to tracks from all of his albums, watch selected videos, and keep track of Steve’s tour dates. Enjoy! Copyright Steve Howe. All Rights Reserved.